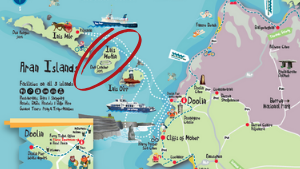 Are Dogs Allowed on Aran Islands Ferry? 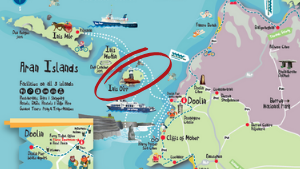 Are Dogs allowed on Aran Islands Ferry – one of the most common questions we are asked! The answer is yes, we are happy to take dogs on board as long as they are well behaved. We have many passengers who come back to us every year with their dogs. 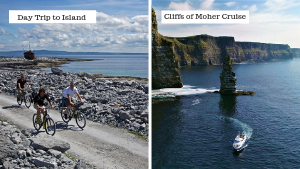 The Aran Islands are a fantastic place to take your dog – long beaches and endless roads to run their little legs off. Pets are an important part of the family and it can be heartbreaking (and very expensive) to leave them behind when you go on holidays. 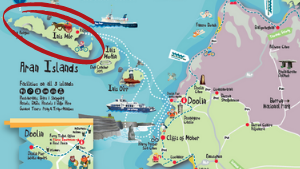 North Clare is one of the dog-friendliest places in Ireland. 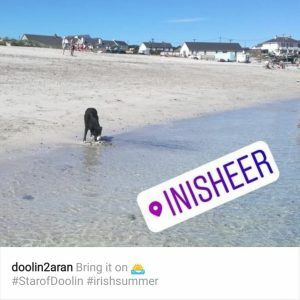 There are plenty of wide open spaces to give your dog a good run and the beaches in Clare and on the Aran Islands are fantastic places to cool down. 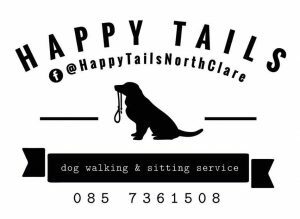 If you ever need a doggy-sitter or doggy-walker while you are in Doolin, check out Happy Tails. 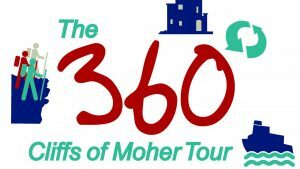 This a fantastic service provided by Aisling, a local dog lover who knows all the best dog attractions and will take excellent care of your pup! 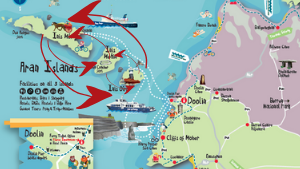 So to answer – Are dogs allowed on Aran Islands ferry, yes – but you must keep the dog on a leash on the boat, in busy areas and near other animals. 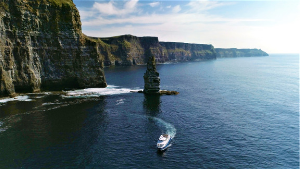 During the summer, (even in Ireland!) the air inside a closed vehicle can get extremely hot. Remember to leave a window slightly open if you leave your pet inside a car, camper, or trailer. We would strongly recommend putting a collar and identification tag on your pet if they get loose and someone finds them. Last but not least, plenty of fresh water for the doggie. 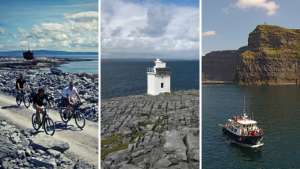 Travel writer, Pol O’Conghaile wrote a great article on Pet Friendly Places in Ireland – worth a read.